Your groom is conservative, he's reserved, classy, and he just exudes a certain sophistication that you have to stop and take notice of. 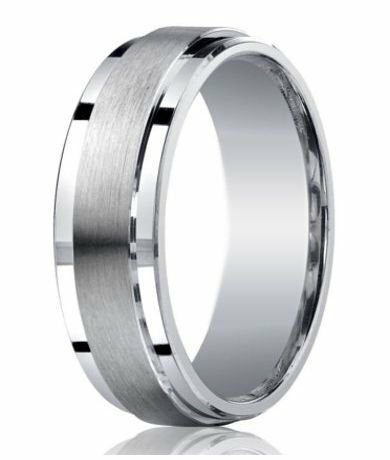 Our 7mm designer Argentium silver satin band wedding ring with polished step-down edges is the perfect band for a man like that. Of all the designer silver wedding bands we sell, this 7mm ring continues to be a best seller. Fashionable yet conservative, it has a raised satin band in the center, flanked by step-down polished edges on each side. This band radiates confidence and good taste, perfect for starting a new chapter in your lives. Before making your purchase, we recommend visiting your local jewelry store and having a professional measure your groom's finger for a comfort fit size. Comfort fit bands tend to run ½ size smaller due to the additional metal inside the ring. Wedding planning can be stressful, especially when it comes to planning and sticking to the budget. We make it easy with our 7mm designer Argentium silver satin band wedding ring with polished step-down edges. It's affordable, classy, and high-quality. 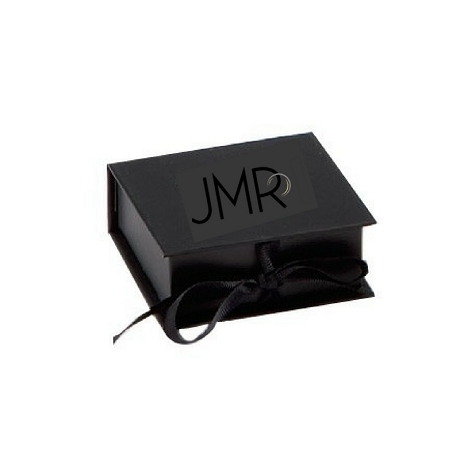 We even have custom engraving, so you can add a special touch to make it uniquely his.